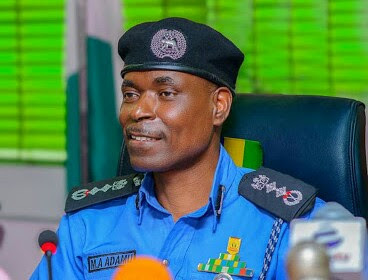 Mohammed Adamu, the acting inspector general of police, has ordered the immediate disbandment of the federal special anti-robbery squad (FSARS). Speaking at his inaugural conference in Abuja on Monday, Adamu also directed that all quasi-investigation and operations outfits including the special investigation panel (SIP) and special tactical squad (STS) should also be disbanded. Special Anti-Robbery Unit which will be professional enough to protect the citizens in their line of duty, but uniquely potent enough to respond to any major weapon-related organised crimes in the swiftest and most ethical manner,” he said. “While this initiative is being perfected, the operations of SARS which is currently centralised at the Force Headquarters is hereby decentralised: consequently, with immediate effect, the Commissioner of Police in each of the 36 Police Commands and the FCT is to assume full command and control authority on all SARS in their commands, while the FHQ Unit is, henceforth, subsumed under the command of the DIG FCIID. “The impact of this is that the DIG FCIID and Command CPS shall from this date, not only assume administrative and operational control of SARS in their respective Commands, they shall also be directly held liable for any professional misconducts resulting from the operations of the Units in their Commands. Adamu also said a special election investigation team (SEIT) has been set up to carry out detailed investigations of all arrested electoral offenders across the country.